A road trip in California is not complete without a visit to Yosemite, one of the most beautiful National Parks of the USA and a World Heritage Site. 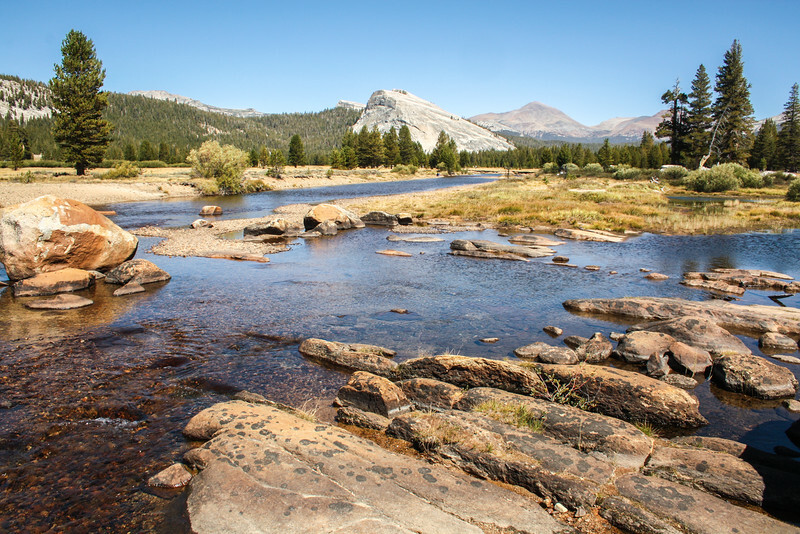 Located on the slopes of Sierra Nevada, Yosemite is massive and multiple visits are needed to properly experience it. And for those with time constraints, 3 days in Yosemite is the perfect introduction to the Park! Yosemite is simply spectacular. There’s no other way to describe it. 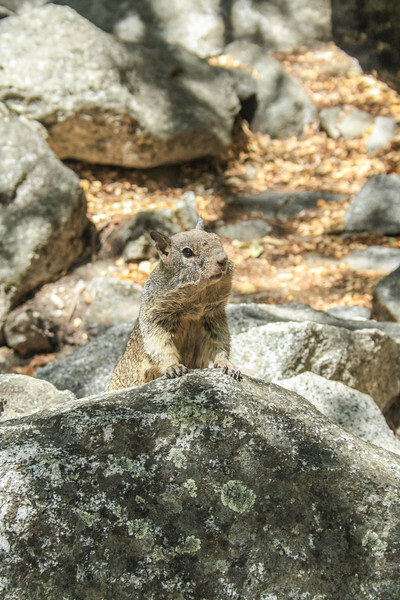 Waterfalls, cliffs, streams, giant sequoias and wildlife. All of this is what makes Yosemite, and because of its importance, it was declared a National Park in 1890. 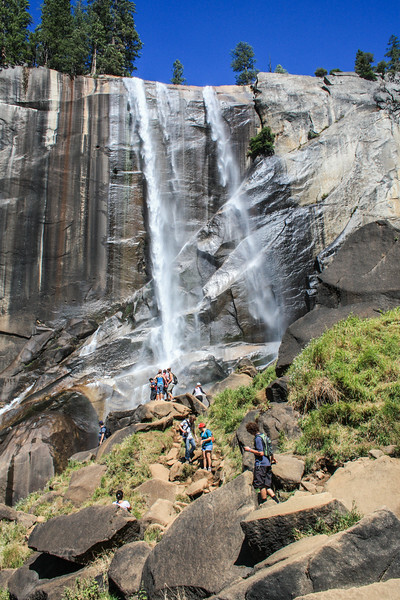 Yosemite offers endless outdoor opportunities, of which hiking is a highly popular activity. Eager to visit already? Our very own visit to Yosemite was split over 3 days during late Summer. It was a great experience and we managed to visit distinct parts of the Park. Here are some ideas on how to spend 3 days in Yosemite. Mariposa Grove is best-known for the Giant Sequoias and is located in the southern part of Yosemite. 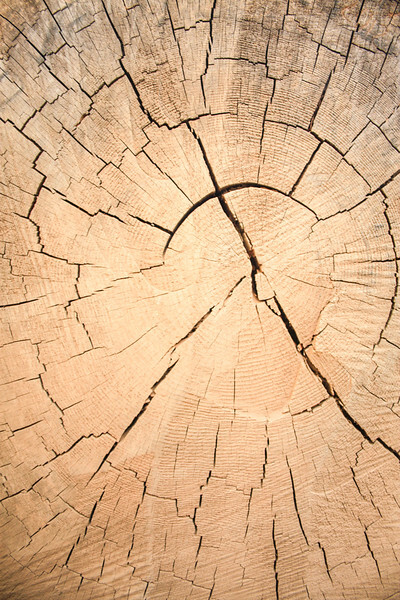 It has some of the world’s biggest Sequoias. It is known as Mariposa Grove of Giant Sequoias. 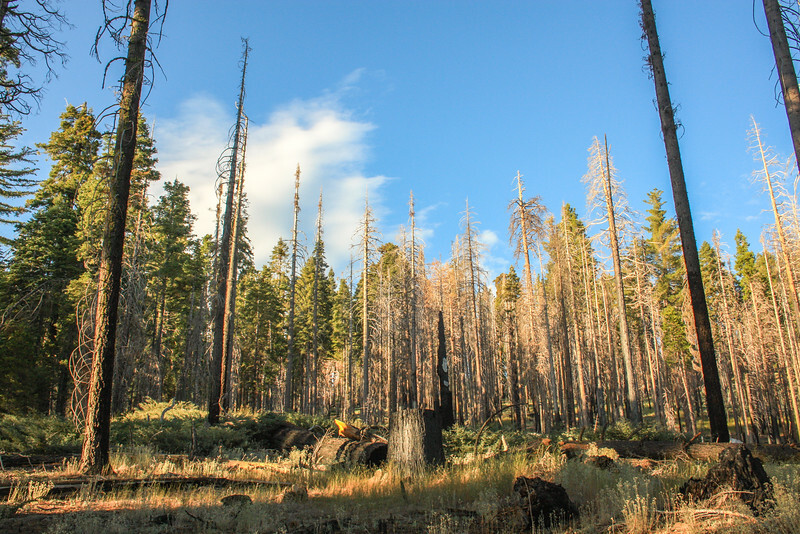 Half a day is the amount of time suggested to visit Mariposa Grove. It is not very demanding in terms of hiking and some of its highlights, such as Grizzly Giant or California Tunnel Tree, are an easy walk away from the car park and can be visited in a couple of hours, for those in a hurry. Grizzly Giant is around 2000 years old! It’s quite incredible to walk among such magnificent trees. We recommend exploring some of the hiking trails in order to better experience the area. Stay alert as there are plenty of opportunities to spot some wildlife. We saw deer and many birds. 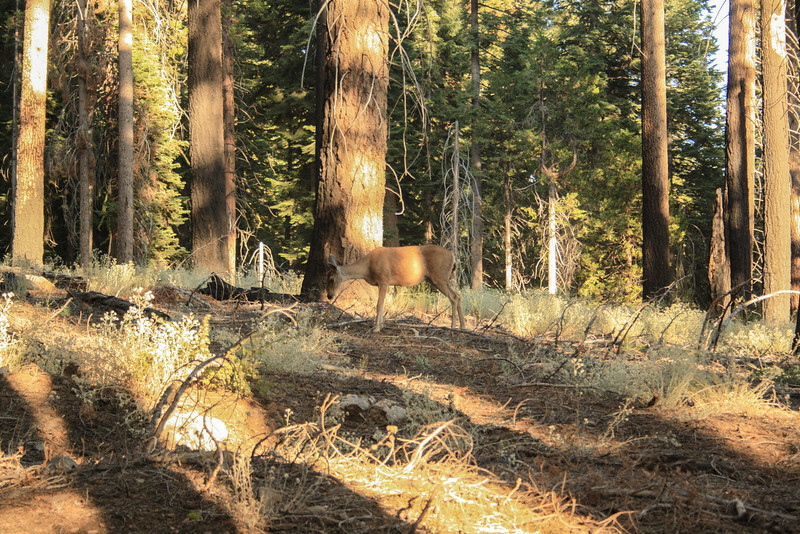 With enough time, is a great idea to go up to the Mariposa Grove Museum and Wawona Point. 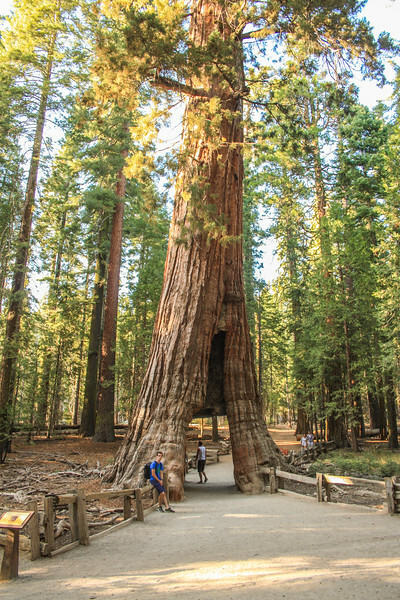 Please note that the Mariposa Grove is closed for restoration until 2017. More information here. Yosemite Valley is where the majority of visitors go to. It is very popular and has a high concentration of things to see and do, including the most famous features of the Park. An important detail is that Yosemite Valley only represents 1% of the whole Park! The entrance to Yosemite Valley has to be one of the most spectacular views ever. We’re talking about Tunnel View, probably the most photographed place in Yosemite. There’s a parking space next to it so you can stop to enjoy the view and take some pictures. Further into the valley is El Capitan, one of the most famous cliffs in the world of climbing. This granite cliff is quite impressive and we’re still wondering how exactly people manage to climb it. 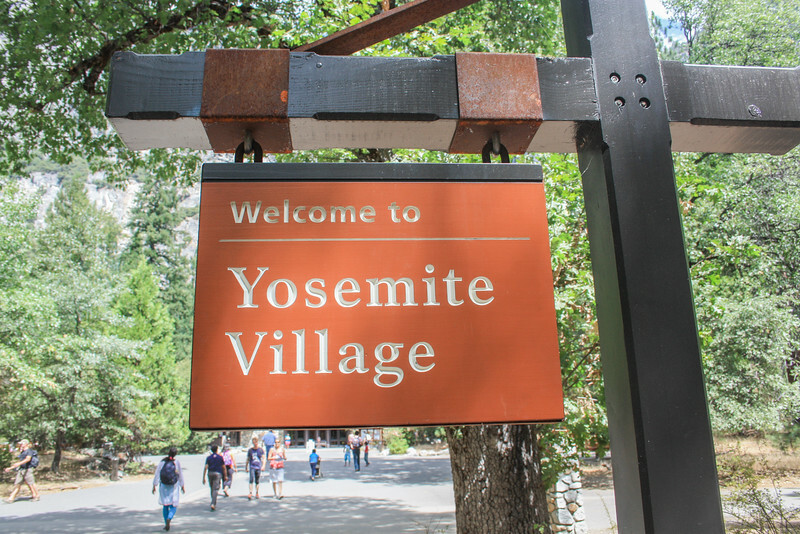 At Yosemite Village, you can find some lodging and food options. If you’re planning to stay overnight, make sure to book well in advance since the choice is limited and usually sells out quickly. To learn more about the Park and its history, we encourage you to go the Visitors Centre and Yosemite Museum. If you like photography, visiting the Ansel Adams Gallery is a must. A free shuttle bus system operates in Yosemite Valley. It’s much easier to use this instead of driving, which is quite restricted. Hiking is likely to be Yosemite’s number one activity. It is definitely the best way to experience the park and the only way to reach some of its highlights. Anything from short hikes to full-day or even multiple-day hikes is possible. Yosemite has over 1300 km of hiking trails! Get your boots ready. A good number of hikes start from Yosemite Valley. 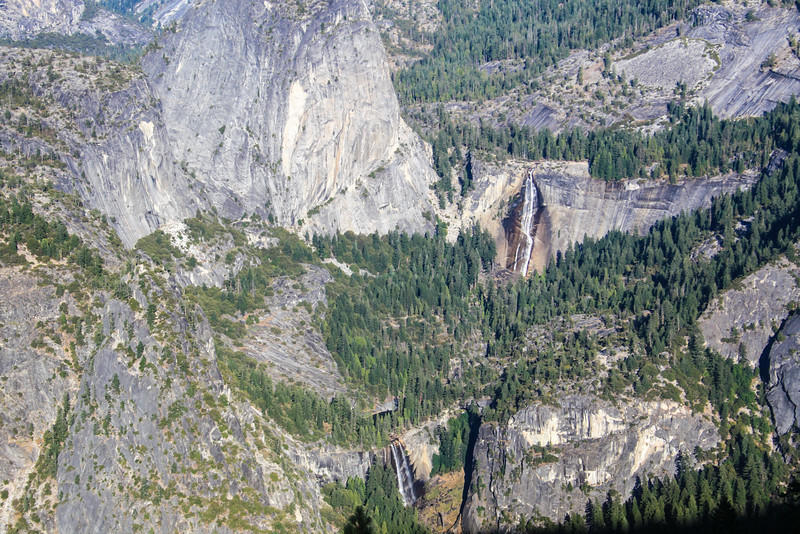 For one day, we recommend hiking up to Vernal and Nevada falls, two beautiful waterfalls. This can be combined with other short walks in the valley such as Mirror Lake. There’s no shortage of trails, so make sure to pick one for your day there. Glacier Point is the place to go for sunset. At 2200 m it has some of the best views in the Park. You can see a lot of the Park’s landscape, including the valley, the waterfalls and the cliffs. 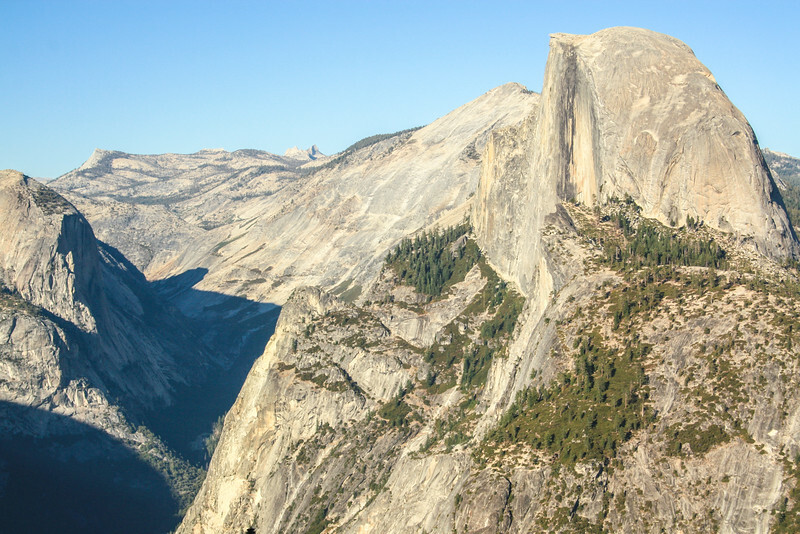 Look out for Half Dome, undoubtedly the Park’s most famous cliff. Tioga Road is a mountain pass across the Sierra Nevada and part of Yosemite’s high country. The road reaches 3000 m. It’s one of the most scenic roads we’ve ever done. It is only open from late May to November, depending on snow conditions. Not to worry, there are plenty of reasons worth stopping for along the way. 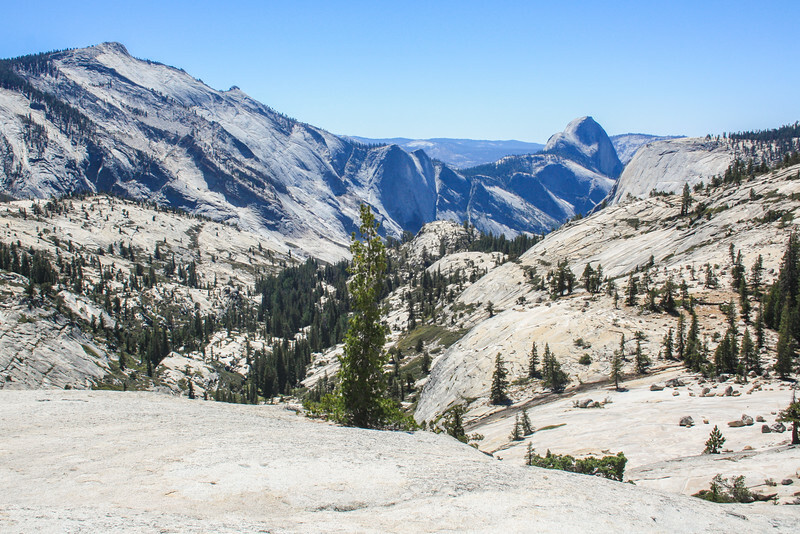 For a different view of Half Dome, park at Olmstead Point and walk the short trail for amazing views of Yosemite. 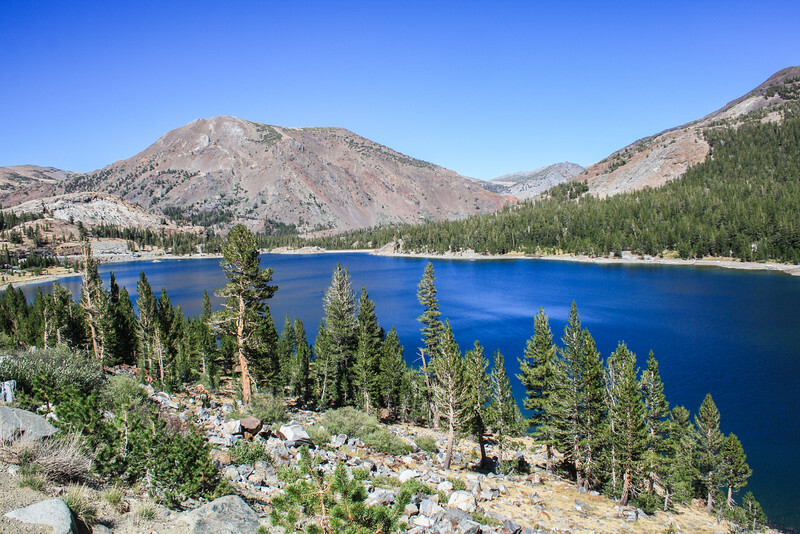 Not far from Olmstead Point is Tenaya Lake, another mandatory stop and a place for a cold swim, for those who fancy it. 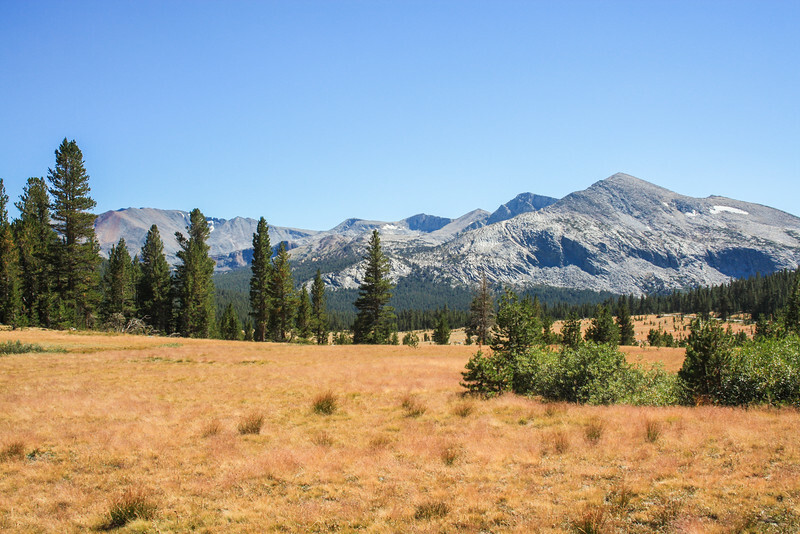 The landscape at Tuolumne Meadows is quite different from the rest of the Park but equally beautiful. 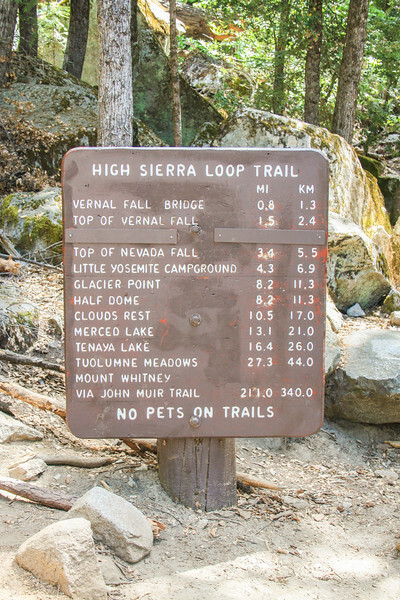 A number of short hikes are available in the area. 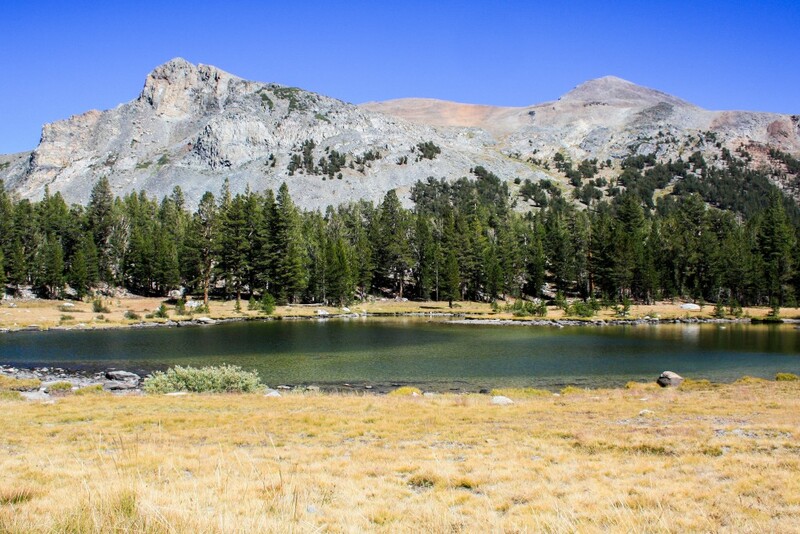 After Tioga Pass, you’ll find a couple of lakes, including Ellery Lake. At the other end of Tioga Road is Mono Lake, which is something you shouldn’t miss. Read more about Mono Lake. It gets quite busy in Yosemite during the Summer months. The peak of the Summer brings a lot of visitors to Yosemite and Yosemite Valley gets a bit crowded, including some of the most popular hiking trails. We visited in September which was a great time to do so and the weather was lovely. During the Summer months, some waterfalls don’t run at all and others have their streams reduced. Better visit in the Spring for full-power waterfalls. 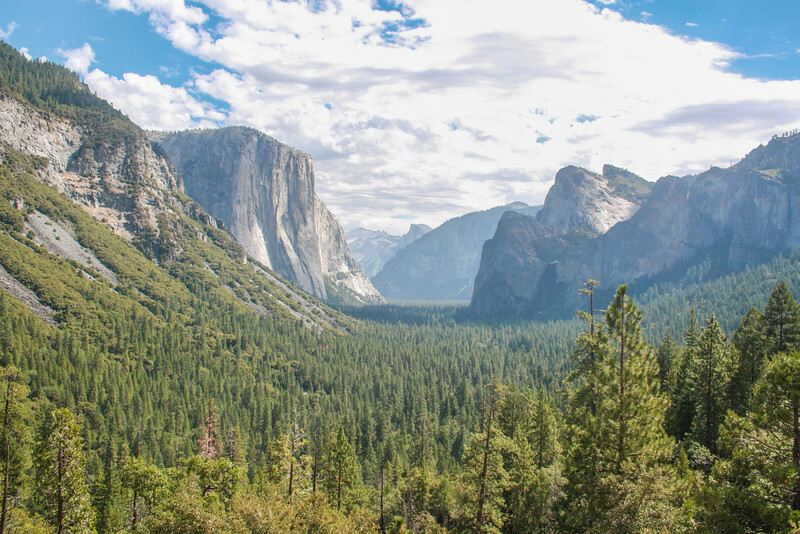 Entrance to Yosemite, as with other National Parks, is paid. It costs 30$ (25$ low season) per car and is valid for 7 days. Bears live in Yosemite and although they are quite beautiful, you should never get too close to them. There are warnings about how to store food items while visiting the Park since bears may try to grab a bite of what’s yours. For more information on how to stay safe, check here. Have you been to Yosemite or would like to visit? Gorgeous pictures! Especially as I’m getting ready for some summer hiking! Yosemite is perfect for hiking! Gorgeous photos and such breathtaking scenery. I can imagine how stunning Glacier Point would be a sunset. Thank you, Sara! Sunset is definitely the best time of the day to go to Glacier Point. Amazing views! One of my favorite places in the world, I actually prefer visiting in winter because the crowds are so diminished. Got me wishing I could go back, which I’ll be doing in July to hike the JMT! Visiting in the Winter must be really nice. Would love to see Yosemite with some snow! I haven’t yet been to Yosemite, but a few years ago I did a road trip swing through Yellowstone and Grand Tetons. While the terrain is different, I do see some similarities. Given the size of the parks, we spent a lot of time driving from place to place, just to cover a lot of ground. 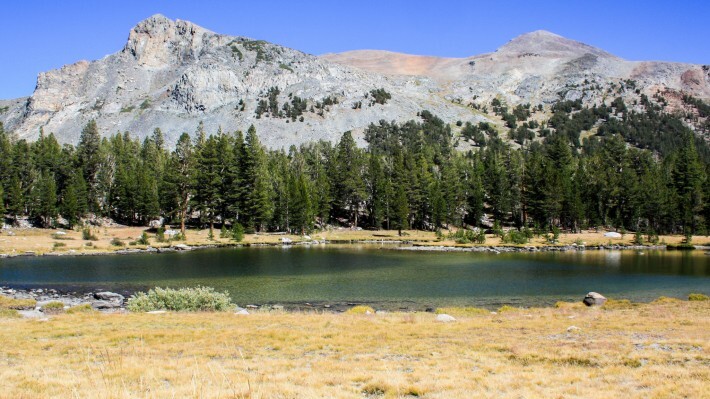 Taking an 8-mile hike sounds like a great way to spend a day, instead! We would love to go to Yellowstone and our next trip to US is likely to include a few days there. Like you said, although they are different they share a lot of common ground, including the size! Also, Yellowstone and Yosemite are the two oldest National Parks. What an incredible adventure. Yosemite is definitely on my to do list! We were there in 2009. It was fascinating, one of the best national parks we have ever been to. It is nature at its best! I would love to visit Yosemite one day! Such amazing landscape views! I read about the firefalls and would like to see that too! The landscapes in Yosemite are simply amazing! Firefalls look amazing but we didn’t get to see one. During the Summer, the waterfall where that usually happens is not active. We’ve been visiting a lot of National Parks lately and have yet to make it to Yosemite. It looks like such a great spot, and is one of the parks at the top of our list to visit! 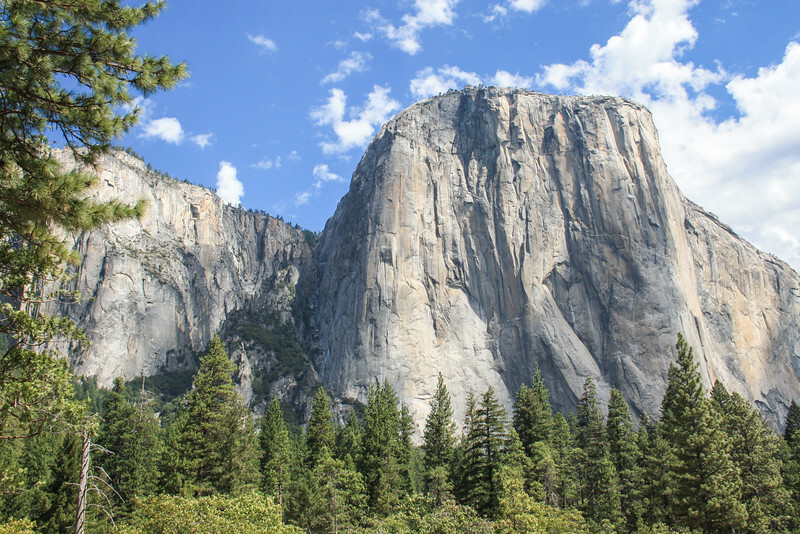 I’d love to see El Capitan and everything else the park has to offer–gorgeous photos! National Parks are great! We tend to visit a couple of new ones every time we go to the US. There’s so much to explore in Yosemite. You’ll definitely have a good time there. Yosemite is high on our travel list. I’ve heard about the crowds in the summer months but as parents, usually we don’t have a choice, unfortunately. I’d really love to visit very soon. School holidays are busy times for sure. Still worth visiting! These are great ideas. I’ve only been to Yosemite once and it was a brief trip so I only saw Yosemite Valley. I’d love to see Mariposa Grove and the Giant Sequoias. Yosemite Valley is definitely the most popular place of the whole Park. Now you know what to visit next time! Visiting Yosemite is absolutely high on top of my bucket list and your post just proves why. Thank you so much for the tips! I’ll surely be taking note of it all. It’s quite amazing. The area where the tree is located is currently closed and due to open again in 2017. Plenty of time to plan a trip there! Lovely guide – thanks so much for sharing your knowledge! Planning a trip hopefully for July! The Yosemite looks so stunning and I can’t believe how big the Sequoias are. That view of the Yosemite Valley is also breathtaking! Thanks for sharing! I can’t wait to visit one day! One of the best places to visit in the USA for sure.